As a not-for-profit organisation, The Akshaya Patra Foundation works to fight the social issues hunger and illiteracy in India. The organisation is headquartered in Bengaluru, India. 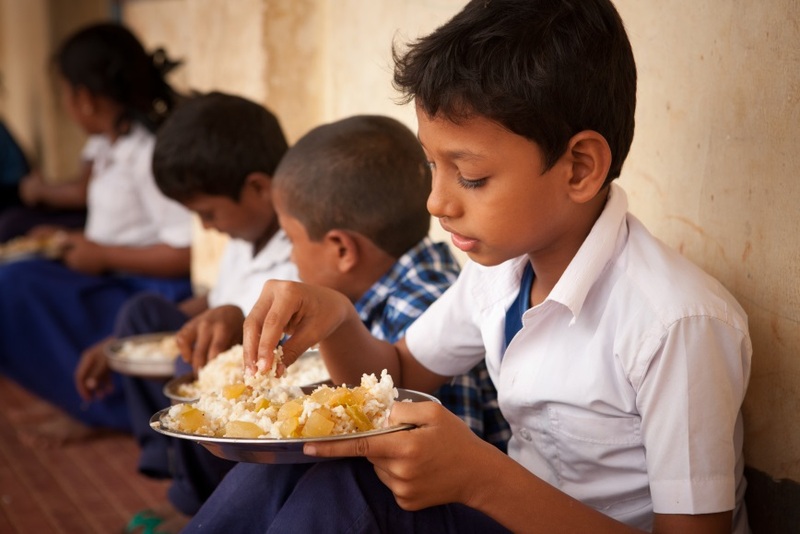 Under the Government’s Mid-day Meal Scheme, Akshaya Patra implements its Mid-Day Meal Programme to eliminate classroom hunger and bring children back to schools.The programme provides nutritious mid-day meals to children in Government and Government aided schools across India. Since its inception in 2000, the organisation has been working tirelessly to reach more children with fresh, healthy food every day. Akshaya Patra leverages technology to cater to millions of children across India. The state-of-the-art kitchens of the organisation are subjects of study, sparking curiosity amongst enthusiasts around the world. The organisation is also renowned for its governance and transparency. Akshaya Patra has been awarded the ICAI Gold Shield Award for ‘Excellence in Financial Reporting’ five years in a row since the financial year 2008-09. This has led to the organisation’s induction to the ICAI Hall of Fame. Akshaya Patra is the first organisation in the not-for-profit category to have received this honour. Besides its many other awards and accolades, Akshaya Patra has also been ranked 23rd amongst the world’s top hundred NGOs by the Global Journal. Akshaya Patra has grown from its humble beginning of feeding just 1,500 children at five schools in 2000 to feeding over 1.76 million at 15,024 schools across 12 states in India. This is only possible because of the partnership with the Central and State Governments of India, and the invaluable support from many businesses, philanthropic donors and well-wishers. I am a donor for this scheme. I am glad & happy to be associated with such a noble organisation. may god bless us all to make more & more such donations forever. Thanks for your contnual suport. It goes a long way in enabling food to children and eradicating hunger. Is there a way that I can get tax exemption from Canada Revenue Agency. There are many non resident indians in Canada and I believe a “tax exemption” status would greatly help Akshaypatra Foundation to get more donations from Canada. Hi Mani. A representative from our donations team will contact you soon with information regarding your query. Thanks for your interest!